Usually submissions to JMS‘s Case of the Month section illustrate the clinical power of Medical Massage when it is used as a single treatment modality. However, there is another therapy plan that can be used when the pathological condition is targeted with integrative somatic rehabilitation. This Case of the Month submitted by Jackie Ballard, LMT, is an excellent example of this approach. I’ve known Jackie for many years and she has always exhibited great passion for her patients and the desire for constant professional growth. Currently, she works in very unusual setting and it illustrates the different possibilities Medical Massage can create for practitioners. 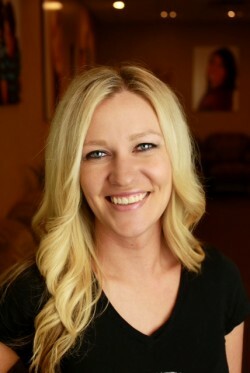 Jackie works for Harris Dental Clinic in Phoenix, Arizona, where dentists are caring enough to realize that patients with TMJ dysfunctions and Chronic Headaches will greatly benefit from her expertise in somatic rehabilitation. Thus Jackie became a member of the clinical team which addresses pathological changes from several directions at the same time, greatly improving treatment outcomes. I think the future of medicine belongs to clinics like Harris Dental where health providers fully realize and embrace an integrative approach to therapy. The client has been a patient at our dental office for more than 10 years. She has had the complaint of pain in her jaw, headaches and her bite always seems to be changing and causing her pain. The dentist fit her for an NTI, which is a dental appliance. The NTI offered some relief but was not meant to be worn all the time so it did not accomplish long term relief. In 2011 our dental office was introduced to a new protocol that offered patients relief from TMJ dysfunction, headaches, and migraines with some equipment and massage therapy focusing on trigger points. Naturally I took over the treatment, given my background as a massage therapist. We offered and gave this patient one treatment in 2011 and she remembers it helping some but she “wasn’t a believer” and didn’t think it would offer her long term relief so she didn’t pursue any further treatment. Our dental office was not billing medical insurance for the treatment and that also was a factor for her. She states she sometimes has crepitus in the right TMJ. Her maximum opening was at 43 mm. Her lateral movement was measured at 12mm bilaterally. There were high trigger point readings (7-10), on a scale from 1-10 on the following muscles: upper trapezius bilaterally, lower right trapezius, right sub-occipitals, SCM bilaterally, right mid temporalis. The lateral part of the TMJ capsule on the right was affected. Readings showed the right side was most affected. Patient now states there is frequent crepitus bilaterally in the TMJ. Her maximum opening was at 47 mm. Her lateral movement was measured at 10 mm bilaterally. There were high trigger point readings (7-10), on a scale from 1-10 on the following muscles: upper and lower trapezius bilaterally, sub-occipitals bilaterally, SCM bilaterally, right mid temporalis. Right lateral TMJ capsule is affected. The 2014 reading showed both sides are affected, but the right is still most prominent. I presented the patient with a treatment plan of eight therapies done weekly. Ultrasound was first used to loosen up the tissue and scar tissue over the head, neck, and shoulder muscles, including the pterygoid muscle and TMJ Capsule. Effleurage is applied around the jaw, neck, and shoulders in an inhibitory regime and later added gradual application of Trigger Point Therapy with ischemic compression on trigger points performed in the order of (if there were high readings of pain): trapezius, sub occipitals, SCM, and masseter. Micro-tens and cold laser are then used on areas of the jaw, neck, and shoulders. As a final component of the session I addressed tension and lack of coordination developed in the cervical and masticatory muscles due to the chronic TMJ dysfunction. I worked with the same set of techniques on the Sternocleidomastoid, Trapezius, Semispinalis Capitis, Levator Scapulae and Temporalis muscles. Minor occlusal adjustments were conducted throughout the treatment. The patient was also given home care instructions including a TMD Splint, to be worn nightly due to bruxism, 1600mg MSM capsules daily, ice, neck and jaw stretches, and a Micro tens home unit to be worn 20 min daily. With each therapy the patient had a steady stable improvement. At therapy #5 the patient stated that before she was seeing me her pain level, on a scale from 1-10, was at a 30 but then she hardly has pain at all. At therapy #7 the patient stated that she hadn’t been able to sleep on her right side for a long time due to a shoulder injury but this week she could! I call these bonus effects. The patient stopped getting headaches after the first treatment. No crepitus bilaterally in the TMJ. Her maximum opening was at 55mm. Her lateral movement was measured at 12mm to the left and 11mm to the right. Her trigger point readings were at a 2 or below. The patient was followed up with 3 months after her last treatment and she is continuing to do well. I recommend therapy at least once every 6 months. The patient is continuing home care 2-3x a week. Jackie Ballard grew up on a ranch in beautiful Montana. With an interest in science and helping others, she enrolled at Utah College of Massage Therapy to pursue her career. Upon graduation in 2003, she received her License as a Massage therapist and immediately began working at a five star resort in Colorado Springs. While living there she had the opportunity of doing body work for members of the US Olympic wrestling team. Multiple new opportunities convinced her move to the Valley of the Sun continuing work with some of the biggest resorts. Since then she hasn’t looked back to the cold weather. Jackie has developed a referral clientele of professional athletes from multiple sports. In 2007 Jackie began continuing education in Medical massage, gaining a broader knowledge of how to treat clients and improve outcomes. 2010 brought different opportunities when Jackie joined Harris Dental in multiple capacities of assisting, patient relations, and office management. A short time later, the Harris Dental team began study and education on the treatment of patients with TMJ pain, migraines and other headaches. Jackie led the development in the office of the protocols currently used by Harris Dental and other offices for these problems. Jackie continues to help patients in the dental practice as well as private clients. She lives in the Phoenix area with her dog Tuco.